The effect of heating time, heating temperature, the amount of activity added to the MIBI kit, and the age of the formulated kit on the radiochemical purity of 99mTc-MIBI complex is demonstrated. 1-mCi (37-MBq) 99mTc-MIBI samples were prepared using the standard boiling water bath procedure. Qualitative and quantitative studies were done for the samples. 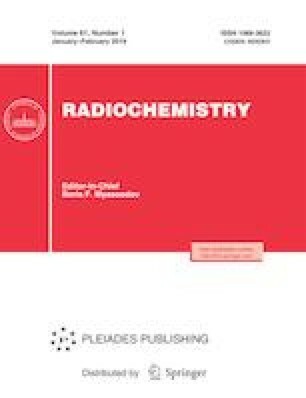 The radiochemical purity of 99mTc that had been eluted from two types of 99Mo/99mTc generators was studied. The efficiency of 99mTc-MIBI samples was tested based on these studies. The results obtained show that eluting 99Mo/99mTc generators more than once in 24 h can lead to increased medical risks in patients with myocardial infarction. Design Principles of the 99 Mo → 99m Tc Radionuclide Generator, https://doi.org/nucleus.iaea.org/HHW/Radiopharmacy/VirRad/Eluting_the_Generator/Generator_Module/Design_principles/index.html.